Hi all! I’m back with another outfit post! Sorry I have not posted the book review just yet. I didn’t realise how buy I would be this past few days so I will be doing that early next week. Keep your eyes peeled for that as my work has been featured in the book I’m reviewing! In other news, I got my final university result. I’ll be graduating on July 15th with a 2:1 ! I’m over the moon but a little annoyed at the same time as I less than a mark off a first, but I think I’ll be appealing that. Whatever the outcome I’m still really happy with how well I did! Can’t believe uni is all over now, its been such a whirlwind. Now onto the outfit! 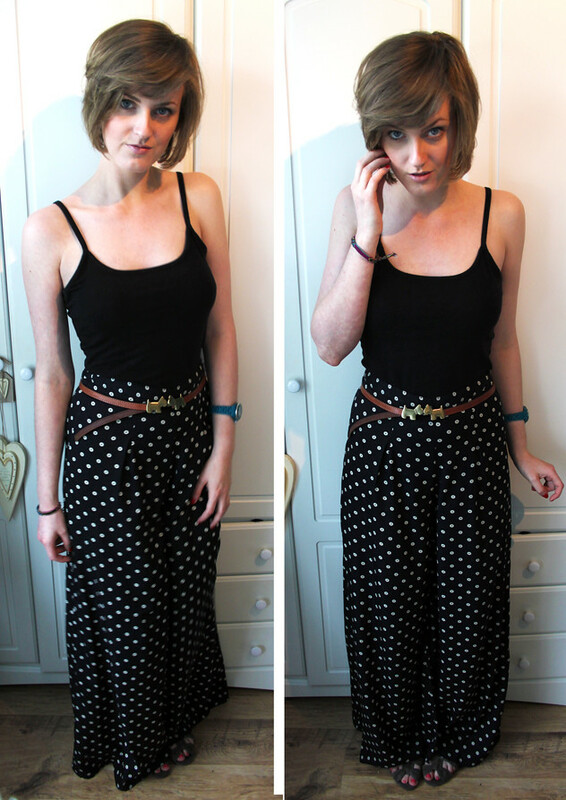 This is what I wore today for a day off, pottering about and seeing family. I got the palazzo pants in the Topshop sale at work. I picked them up on Friday but then decided against them, and instantly regretted leaving them behind when I got home that night. Luckily there were still on the rail when I got to work yesterday morning so I snapped them up. It must have been fate! Spot anything different? Yep, I’ve had the chop! Decided to get my bob cut back in for Summer as my hair had started to get a bit straggly at the ends. It feels so much thicker and nicer. That’s all from me tonight. Don’t forget you have until Thursday to enter my Sigma brush giveaway! Hope you have all had a lovely weekend. Let me know how you’ve spent yours! "SIGMA BRUSHES + A LITTLE GIVEAWAY [CLOSED]"
"BOOK REVIEW – BASICS FASHION DESIGN: STYLING"
That belt is so cute. I seen it in Topshop and regret not getting it now! Well done on the 2:1, you're graduating from UCLan aren't you? I went there and was one mark below a first as well; graduated on the 15th July last year! Cute! I got some like these recently and they are so comfy and easy to wear. Do you wear your pants with heels? Do you reckon you could get away with them with flats? 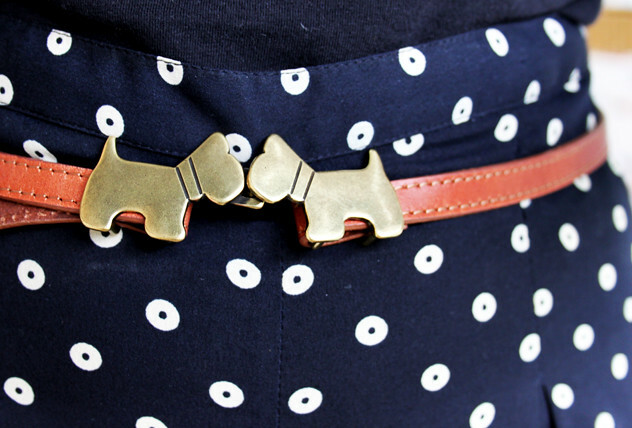 The belt is so so cute! So is the rest of your outfit! I'm wearing them with flats here and they are ever so slightly too long, so I can wear heels too. They seem to be the perfect lengh for me! The belt is super cute.. I'm glad you went back for the trousers… they're awesome!